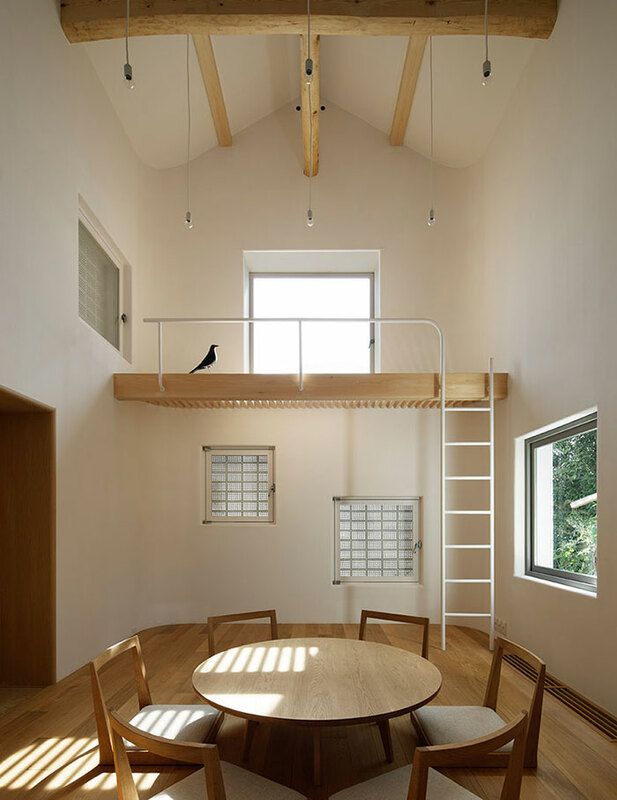 Rebirth House by Ryo Matsui Architects is a traditional storehouse in Ibaraki, Japan converted into a modern living space. 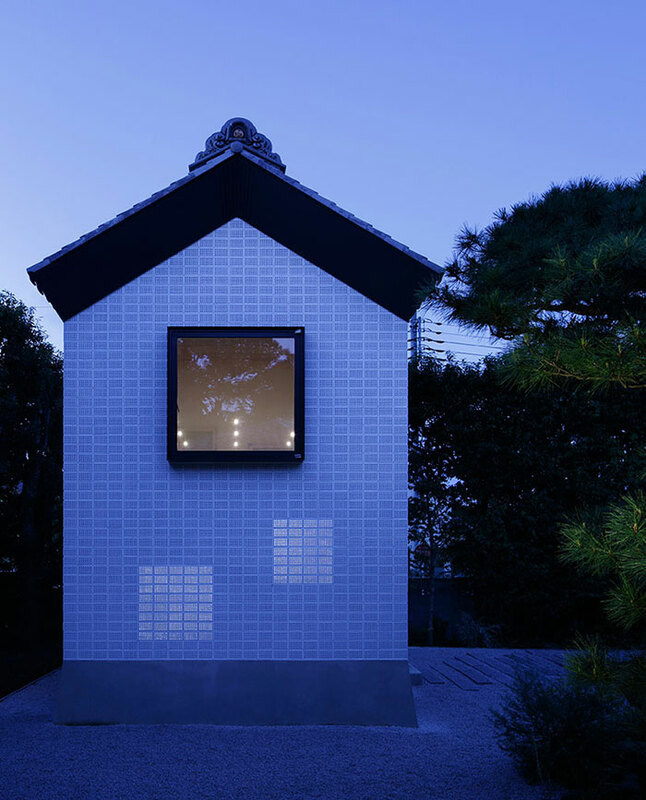 The small 120-year-old building was damaged in the Great East Japan Earthquake of 2011 and the architects found it unstable and beyond repair. 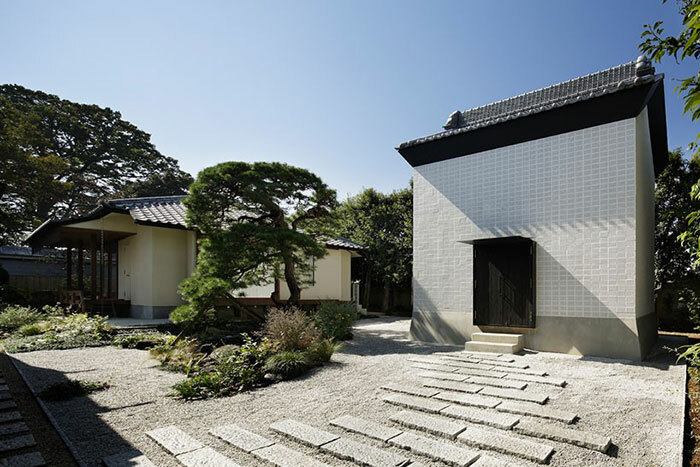 The client was keen to preserve the building for future generations so an effort was made to save the original materials such as the roof tiles, ridge, and ornaments which were restored and re-used in building the new structure. 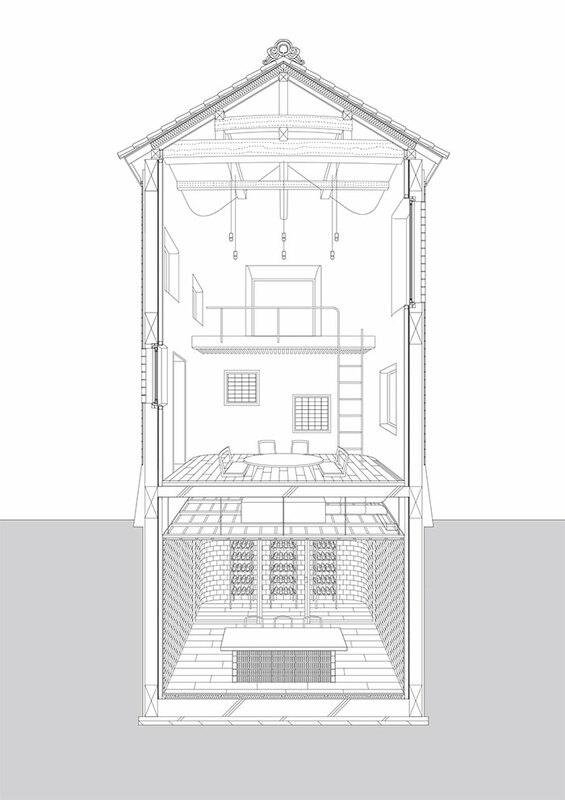 The original appearance of the storehouse was retained with the addition of contemporary features. 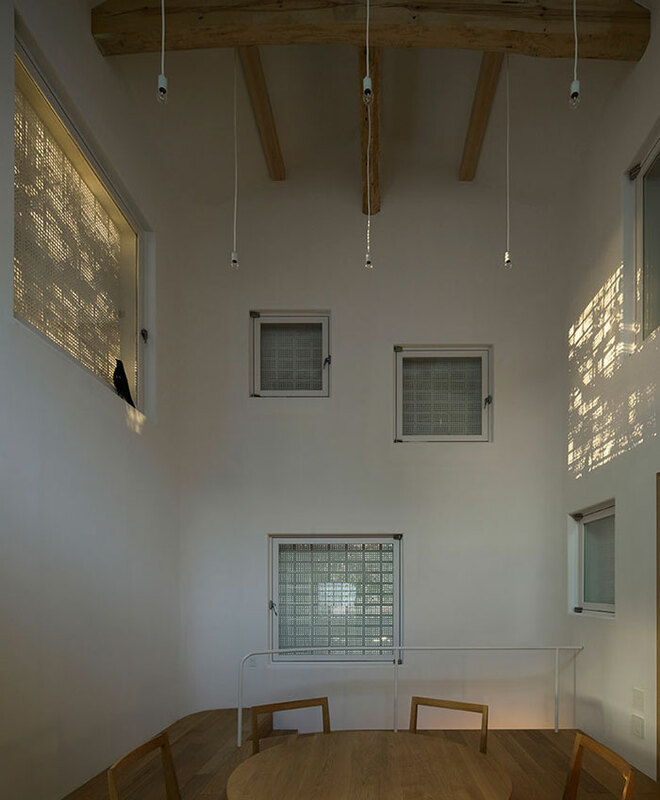 Additional windows required to create a more habitable space were hidden behind a lace screen which is defined at night when the lights are on. 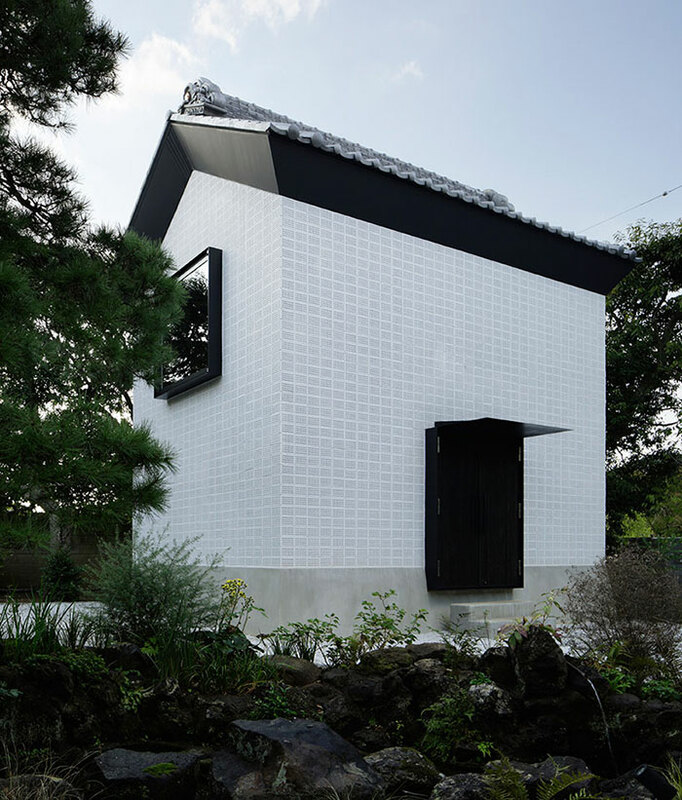 The original perforated bricks were painted white which creates an interesting effect in combination with the tiled kirizuma roof. 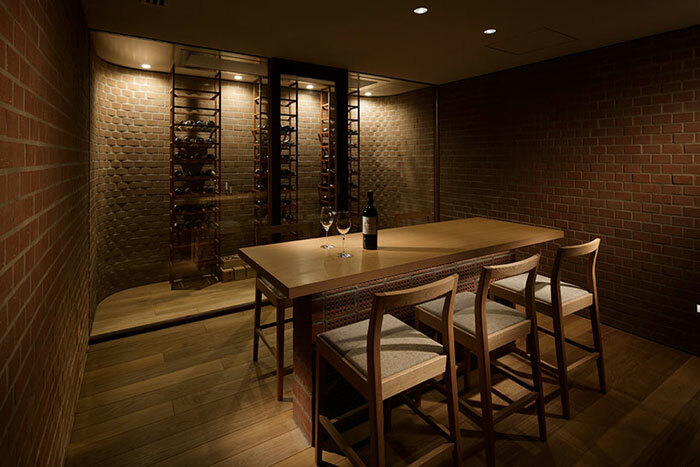 In the continued spirit of re-use, a basement wine cellar was added with the walls built using the leftover formwork from the new bricks for the outer wall. 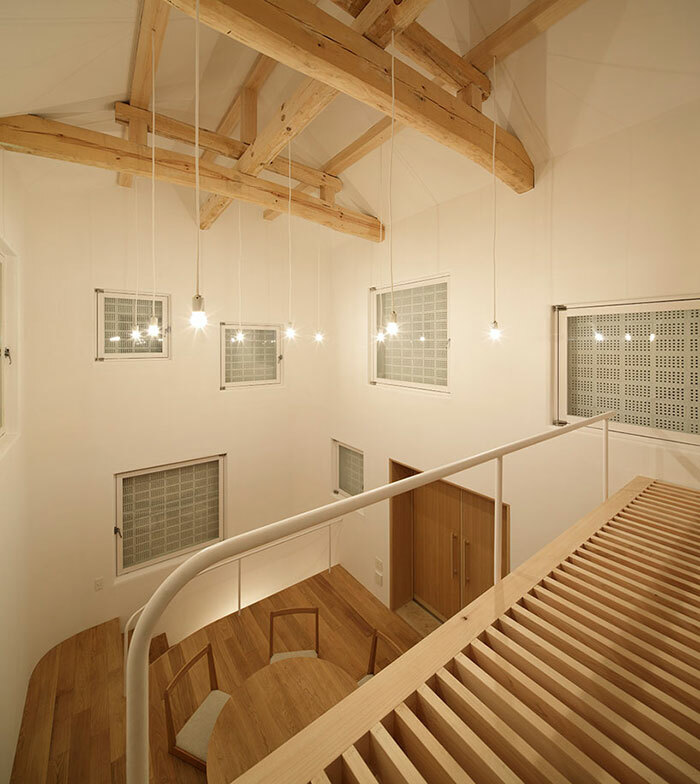 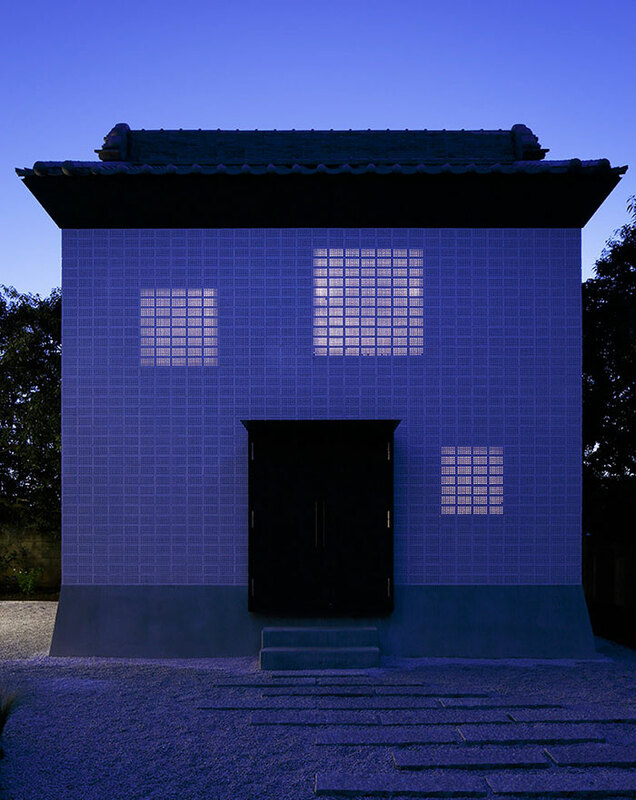 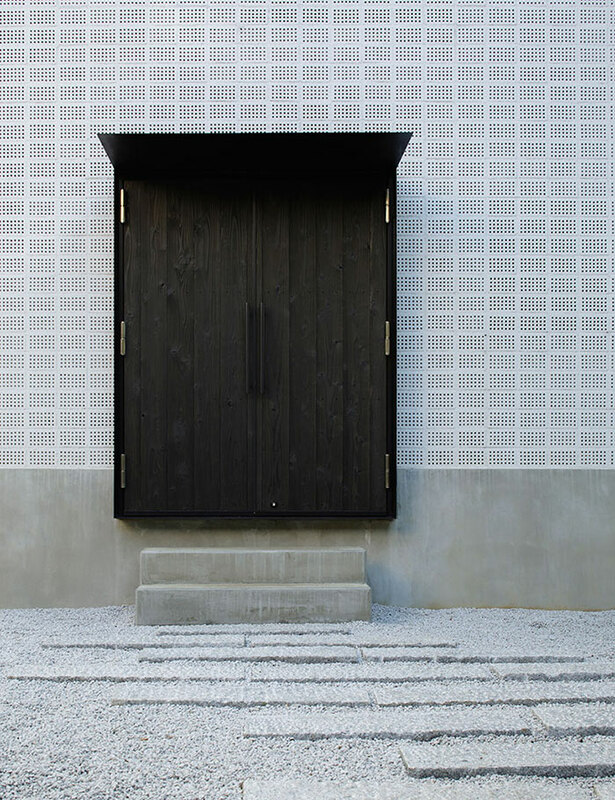 Rebirth House is a traditional storehouse in Ibaraki, Japan converted into a modern living space.